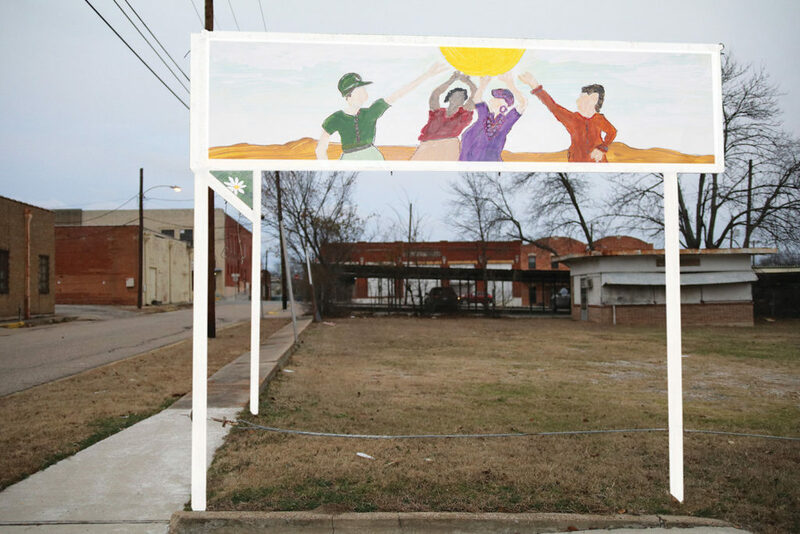 An old, decaying sign in downtown Greenville will take on new life when it will be painted by Joseph McCowan, a local artist who has, among other works, painted murals inside many area churches. His piece titled “Life and Nature” will cover both sides of the sign at the intersection of Washington and Stuart streets in central Greenville near the farmers’ market. His theme for the artwork is inspired by nature and togetherness, combining whimsical birds, flowers and multicultural human figures reaching toward the sun. “I’m proud of what’s happening in Greenville and look forward to making our downtown even more beautiful,” said McCowan, who is also director of the Brigham Museum in Greenville.